Job seeking can be very frustrating and sometimes depressing when trying to overcome interview anxiety. When you finally get the call to attend a job interview after sending hundreds of applications, a feeling of relief comes over you as you realise that applying was not in vain. Going to an interview is the first step to getting a job, and ultimately gaining financial independence. Preparation is essential to overcome interview anxiety. Recruitment consultants and experts will advise you to do research, ask questions, and dress the part and to be self-confident throughout the interview. All this is good to know but practical preparation is not all that you need to ensure that you get the job. Nerves and feelings of anxiety may creep up on you during the interview. Such negative emotions have the potential to ruin your image in the interview. The ability to ensure that you are able to eliminate negative emotional responses is important because the way you respond can either make or break the interview. 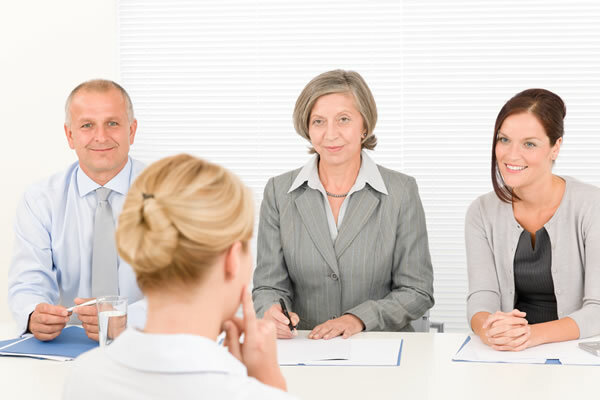 Hypnosis offers assistance to overcome interview anxiety and feel at ease in interviews. Our overcome interview anxiety hypnotherapy sessions allow you to put your best foot forward and to walk out feeling great about the way the interview went. When you are relaxed and at ease, you are able to clearly demonstrate to the interviewer/s just what you are capable of. The purpose of a job interview is to sell yourself. After you have sold yourself, you leave the job interview with a feeling that your best has been put on the table. Although the hiring decision does not depend on you, being emotionally prepared has made the probability of getting the job more likely. One of the clients, who had undergone hypnotherapy to boost his self-confidence in interviews, expressed how thoughtful and helpful it was for him. “I no longer get anxious at the prospect of having to attend an interview”. You can put your emotions and your mind to rest with hypnosis to overcome interview anxiety. Want to ace that next job interview with Confidence? Click here to book your free 30-minute consultation. Does Your Interview Confidence Need a Boost? And ace that next job interview!